Filmpoem Festival Fifteen is an open-ended series of events and screenings. 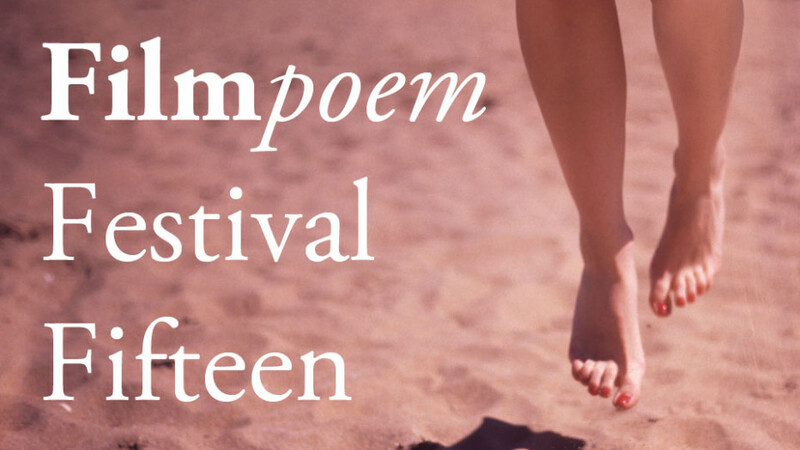 After our successful Antwerp festival in 2014, we are working with The Poetry Society and a series of universities and poetry festivals, presenting Filmpoem’s established mix of poetry-film, live film performance, poets, filmmakers, and discussions. We will be at Hidden Door in Edinburgh this Spring, Stratford Poetry Festival in the Summer before culminating in a very lovely venue in London in Autumn. More soon! “The combination of film and poetry is an attractive one. For the poet, perhaps a hope that the filmmaker will bring something to the poem: a new audience, a visual attraction, the laying of way markers; for the filmmaker, a fixed parameter to respond to, the power of a text sparking the imagination with visual connections and metaphor.” Alastair Cook, Anon 7 (Edinburgh, 2010). This wonderful hybrid artform has become a great new force in the worlds of film and poetry provoking a range of terminologies: filmpoem, videopoem, cinepoem and poetry-film each reflecting different origins and schools of thought.